The Puja capable of pacifying all the 9 planets present in one's horoscope, the Navgraha Puja holds special importance when performed at the beginning of the Hindu New year. The Nav Samvat 2075- 2076 or Vikram Samvat 2076 will commence from 6th April 2019. Future Point urges all its patrons to Book Navgraha Puja to celebrate the occasion of Vikram Samvat and begin your life on a new and bright page. Right at the time of our birth, as per the karmic baggage from our past lives, our destiny is chalked out. The nine planets or the 'Navgrah' hold the responsibility to give us the results of our deeds. These Navgrah have incredibly powerful effects on our life. All aspects of our life such as- education, health, career, finances, marriage, children, travel etc., come under the highly influential ambit of the Navgrah. Among the nine planets (Navgrah), each planet has a specified responsibility to provide us with the results for a particular set of our karmas at a specific time in our lives. No planet can be deemed as always bad for everyone and no planet can be deemed as always good for everyone. Their results depend upon the particular karmic structure of the native that they are supposed to provide results for. Still, we consider planets who give positive results in our life as benefic and those who give negative results, are considered as malefic. As per the horoscope of a native which is actually a cosmic blueprint formed at the time of birth of that native, the role and effect of all planets in his/her life is decoded by an astrologer. 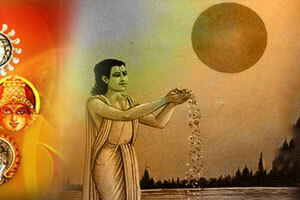 But if a person manages to please the Navgrah (nine planets), then the positive effects of planets that are benefic for us can be increased many folds and more importantly, the negative impact of planets that are malefic for us, can very well be negated or nullified before it actually comes up in the future. So, how can one please the Navgrah or nine planets to have a prosperous and successful life? Simple, go for a Navgrah Puja! Navgrah Puja is a holy ritual that pleases the nine planets, resulting in their powerful blessings upon the native. Hence, we urge you to book a Navgrah Puja for yourself, to receive the blessings of the Navgrah that are responsible for shaping up your destiny and enjoy their benevolent presence in your life! It removes all hurdles and obstacles posed by malefic planets in our life. It cures all the 'Doshas' or flaws of the horoscope formed by misaligned planetary placements or combinations. It creates a conducive environment for attracting promising opportunities in one's career. It creates a protective aura around the individual that wards off all negative influences from the life of the native. It increases focus & concentration among students and enhances their perception. Navgrah Puja shields a business from regulatory hurdles and unwanted competition in the market. This Puja helps the native in attaining a sound health by curing many ailments present in the life of the native due to some troubled karmic structure. It makes the native emerge victorious over enemies and get rid of any legal hassles going on in life. Navgrah Puja helps in maintaining a harmonious domestic environment and ensure a life long marital bliss. It provides safety during travels and protects the native from any accident signified in the natal chart. 'Navgrah Puja' to please all planets to strengthen your individual horoscope and eventually make success and prosperity a living reality in your life. Note: The Navgrah Puja is performed in strict accordance with all Vedic rules & rituals as prescribed in the Holy Scriptures. Why should I go for Navgrah Puja? The Navgrah or the nine planets hold a great significance in your life and the Hawan & Puja performed for Navgrah, bring enormous positive effects in your life. So, go for this life altering ritual! Who will perform the Hawan & Navgrah Puja? Absolutely, you can watch the Navgrah Puja being performed in your name via a recording provided to you by us. Is there any minimum age to go for Nav Grah Puja? No. Anyone can go for this Nav Grah Puja. Can I book the Navgrah Puja for someone else in my family? Absolutely! What better gift can you give to your near and dear ones, than making sure that they get the blessings of all nine planets!